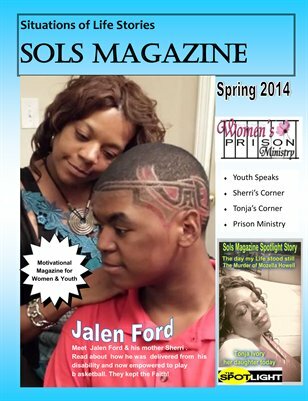 Sols MAGAZINE will be a magazine that will empower women who have lost a child or has a special needs child. The founder of this magazine is a mother of 2 deceased children and currently raising a special needs son who has overcome Autism, ADHD and Language Impairment disabilities. Sherri Williams wants to bring awareness to those who are grieving and encourage those parents who are dealing with the disabilities of their children. You are not alone and this magazine will motivate you to live, laugh and love.